Upon instructions of the President of Turkmenistan, on April 4-6, 2019, a delegation led by the Deputy Chairman of the Cabinet of Ministers and Minister of Foreign Affairs of Turkmenistan R.Meredov was in Moscow to participate in the regular meeting of the Council of Ministers of Foreign Affairs of the Commonwealth of Independent States. During the visit to Moscow, the delegation of Turkmenistan held a number of official and work meetings. During the official meeting with V.Chuichenko, Deputy Chairman of the Government of the Russian Federation, who is co-chairman from the Russian side of the Intergovernmental Turkmen-Russian Commission for Economic Cooperation, the parties agreed on a specific agenda for the upcoming meeting of the Commission on May 7 this year in Ashgabat. By the results of the official meeting with the Minister of Foreign Affairs of the Russian Federation S.V.Lavrov, Agreement was signed between the Government of Turkmenistan and the Government of the Russian Federation on cooperation in the field of ensuring international information security. 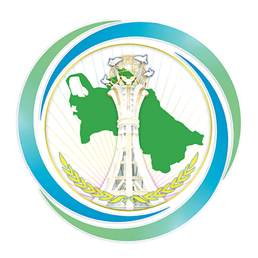 During the official meeting with the Minister of Foreign Affairs of the Republic of Belarus V.V.Makei, the Plan of Cooperation between the Ministry of Foreign Affairs of Turkmenistan and the Ministry of Foreign Affairs of the Republic of Belarus for the period 2019-2020 was signed. The Turkmen delegation held talks with the delegation of Uzbekistan headed by the Minister of Foreign Affairs of that country A.Kamilov, at which the issues relating to further deepening of bilateral cooperation in various fields were discussed. There was a meeting of the delegation of Turkmenistan with the Chairman of the Executive Committee, Executive Secretary of the Commonwealth of Independent States S.N.Lebedev. During the talks, sides exchanged views on further interaction between Turkmenistan and the CIS Executive Committee. At the talks between the Turkmen delegation and the Deputy Chairman of this structure I.Kuzmin, sides discussed the issues on preparation and holding a regular meeting of the CIS Intergovernmental Coordinating Council on seed breeding in Ashgabat in the middle of May this year.